David Foster Wallace spent a part of his life as the most famous writer in America, but whether or not he reveled in the attention is another story altogether. 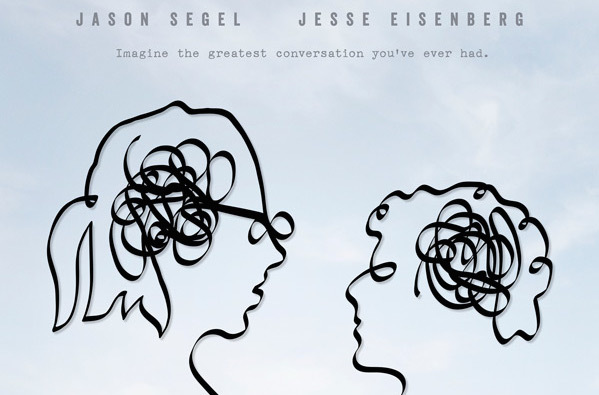 The End Of The Tour, which A24 will release this summer, tells the story of a young man (Jesse Eisenberg) who follows Wallace (Jason Segel) during the tail end of a book tour. He’s there to write about the man everyone loves to read, but as the first trailer reveals he’s really embarking on the biggest journey of his life. I had a chance to see The End Of The Tour back in April and completely blew it, so as soon as I watched the trailer below, I immediately wished time travel for the sole purpose of enjoying yet to be released feature films was a thing that actually existed. It doesn’t, unfortunately, so we all just have to wait until July 31 when the film arrives in theaters to fully appreciate just how compelling the performances by the two leads in this movie actually are. Early reports — including one from our own Sam Cohen — claim this film could easily crack many people’s top 10 of the year, and the first trailer makes it seem that is 100% true. You can view the footage below.